Neuroscience, 2nd edition on the NCBI Bookshelf. D. Purves et al. 2001, Sinauer Associates, Inc. For more information, see the Bookshelf Copyright Notice. Most relevant figures from the second edition of the course textbook for sensory and motor systems are below. You can copy the name of the figure and paste it in ‘Search in this book’. Then a list of relevant pages will appear. Click ‘Show details’ of the most relevant page and a link to the most relevant page appears, click that and scroll down to locate the figure. Neuroscience Fifth Edition, Sinauer. Animations, Summaries and Quizzes accompanying the course textbook. Glossary– Neuroscience 5th edition, Sinauer. Direct link to the online glossary of the textbook. UBC Neuroanatomy. A very good site by the University of British Columbia. BranFacts.org a very rich site. It is a public information initiative of The Kavli Foundation, the Gatsby Charitable Foundation, and the Society for Neuroscience. Powered by the global neuroscience community and overseen by an editorial board of leading neuroscientists from around the world. It has a very good 3D Brain, interactive presentations of the Neuroscience Core Concepts and the BrainFacts Book. Anatomy & Physiology – OpenStax college, Unit 3: Regulation, Integration and Control is especially relevant. Genes to Cognition Online by Cold Spring Harbor Laboratory. A very useful 3D model of the brain. It has descriptions of various brain structures, associated functions, associated cognitive disorders, etc. It is useful for the preparation of Quizzes and especially relevant for the Comprehensive Final Exam. You can watch this video on Using G2C Online. Handwritten Tutorials. Completely free videos with accompanying pdfs. Neuroscientifically Challenged: Clarifying series of short videos (2 minutes each) which will help you learn the basics of neuroscience, in short, easy-to-understand snippets! You have to respect copyrights. 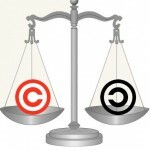 Here are the copyright data of some of the resources this website links to. Neuroscience, 2nd edition. Editors: Dale Purves et al. : Sinauer Associates; 2001. You can not share the material from this resource, not even for educational purposes. www.anatomie–amsterdam.nl. Website made exclusively for educational purposes. All rights on materials are reserved. You are not allowed to commercially trade the material without written and signed approval of the owners/creators. Educators and students may use the material provided they do not modify contents, reverse engineer or otherwise infringe the intellectual rights and provided they quote the source: www. anatomie-amsterdam.nl . Neuroscience Animations. Material on the website of the textbook Neuroscience 5th Edition by Dale Purves et al. : Sinauer Associates; 2012. You cannot share this material, not even for educational purposes. You can only link to the site. Genes to Cognition . Cold Spring Harbor Laboratory is owner of the copyrights. This material can’t be shared, not even for educational purposes. You can only link to the site.